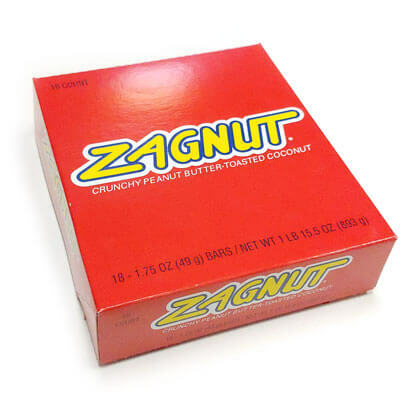 Zagnut crunchy peanut butter and toasted coconut bar. 1.75 oz. Box of 18 bars.